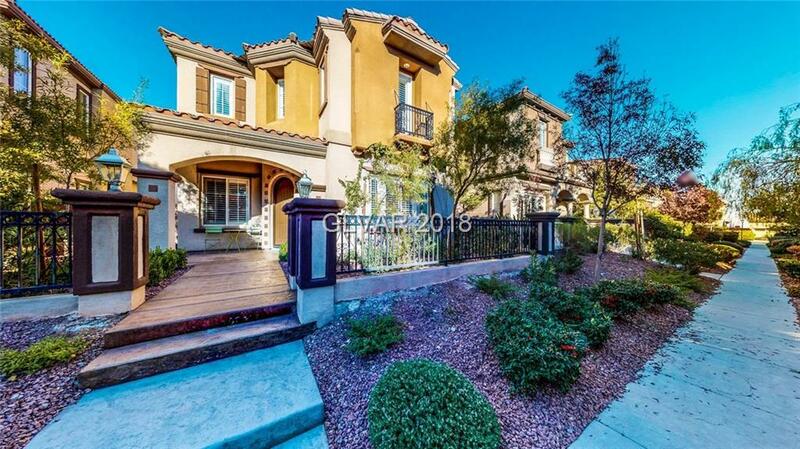 Elegant Toll Brothers Home in a guard gated community. Plantation shutters throughout. Open kitchen boasts large under stairs walk-in pantry, granite counters, stainless steel appliances, extensive lighting & cabinets into dining area. Upgraded railings lead you to the spacious loft which separates 2 bedrooms from the master. Master w/retreat, spa-like bath & spacious, custom closests. No expense has been spared in making this an inviting home. Directions: From 215, Exit Sahara West & Take A Right At The First Light Into The Guard Gated Community. First Right On Malaga Peak. First Right On Granada Bluff. Home On Left.